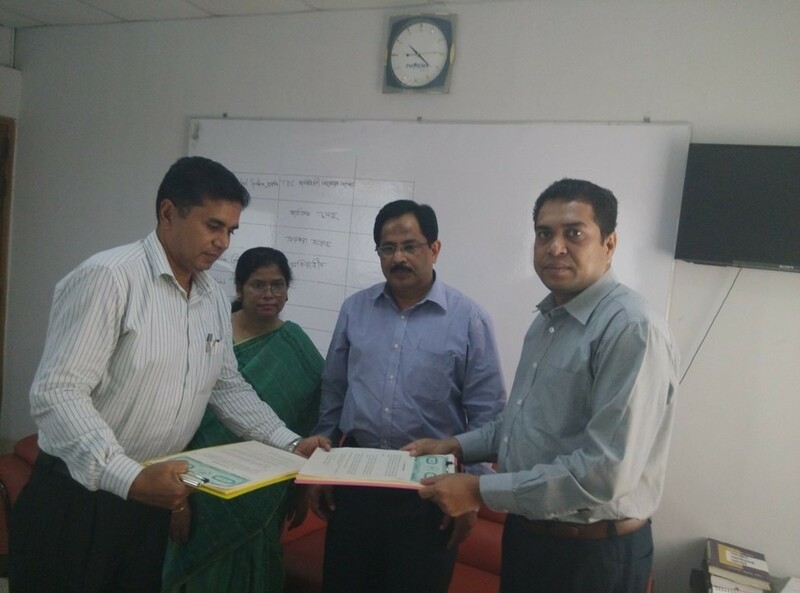 Online Security Clearance System of MoHA | Business Automation Ltd.
A contract has been signed between the Ministry of Home Affairs (MoHA) and Business Automation Ltd. for the implementation of Online Security Clearance System for the Investors and foreign nationals at work in Bangladesh on 1st June 2015. The program lead by the Additional Secretary (MoHA) Mr. Mostafa Kamal Uddin and the contract signed by the Joint Secretary (MoHA) Mr. Md. Shahed Ali with Managing Director Mr. Jahidul Hasan on behalf of their own organization. The Joint Secretary of the Ministry was present at the signing. Using the system, the security clearance for the potential foreign employees and investors in Bangladesh will be done online for issuing and extension of their work permit through respective Government agencies. The project is aiming to encourage the foreign investors as the work permit issuing process will be faster and easier. The database of working foreign nationals in Bangladesh will also be used by other stakeholders like NBR, Bangladesh Bank to smoothly handle their part in respect of these work permits. The program will help to go one step ahead with the Vision of building Digital Bangladesh – the main agenda of current government.